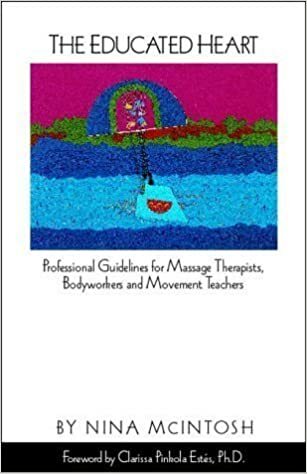 The book is filled with guidelines and anecdotes from her own practice and from extensive research and interviews with other bodyworkers. “Being professional is an educated way of being kind.” A strong framework around scheduling and fees helps clients feel safer and keeps practices running more smoothly. Attention to the daily small ethical and boundary decisions helps avoid big disasters. Highly recommended for practitioners who use touch, and for clients who want to better understand their responses to different practitioners. This book is dear to my heart and had a big influence on how I run my practice. This blog post by Laura Allen talks about meeting Nina McIntosh, and sadly, about her death from ALS in 2010. Laura Allen put out a 4th edition of “The Educated Heart” in 2017.